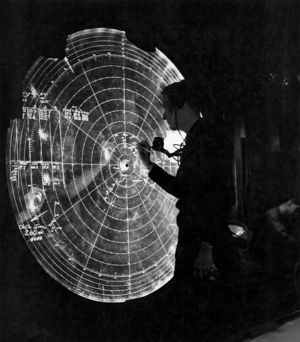 Where can I find more information about that glass board in old aircraft carrier operations centers? 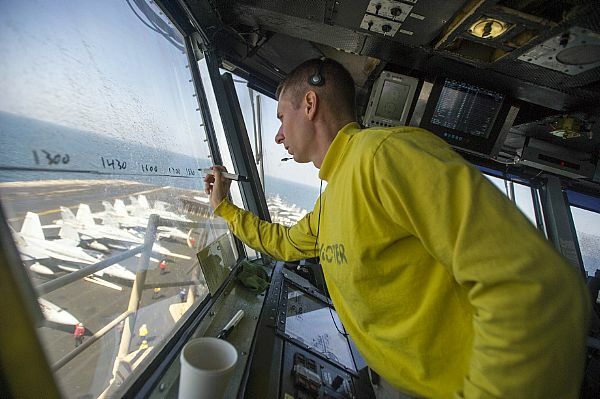 When I was a kid, I used to read this comics about aircraft pilots in the 50's, and in the operations center of their aircraft carrier, they had operators using markers on a glass wall to keep track of operations. Any idea how that was called and where I can find pictures of it? Is it still in use today, or is it now all computerized? 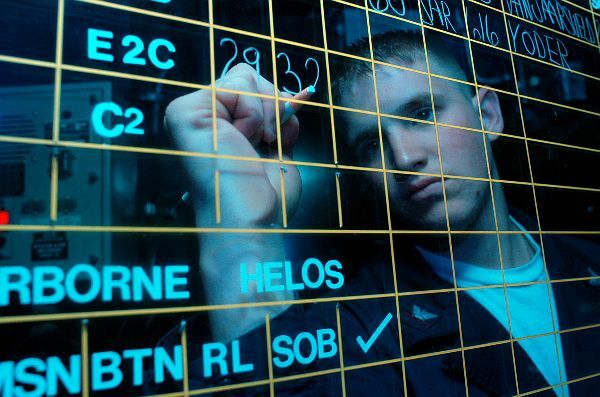 Air Traffic Controller 3rd Class Jeoffrey Keever writes the status of each aircraft on the status board in Carrier Air Traffic Controller Center (CATCC) aboard USS John F Kennedy (CV 67) during flight operations. 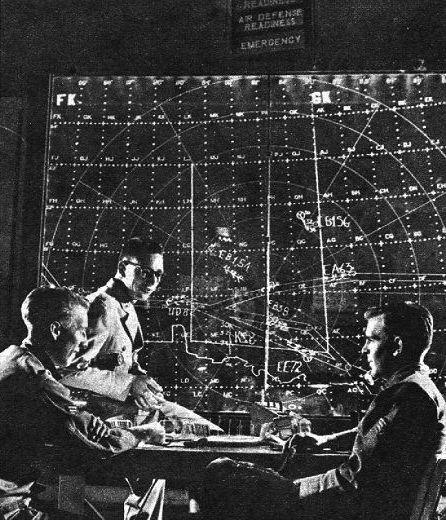 Which map projection is typically used on ATC radar screens? 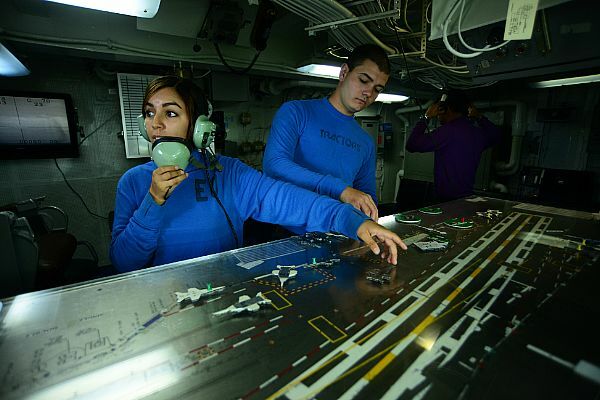 What is the three-light indicator on carrier-borne airplanes?